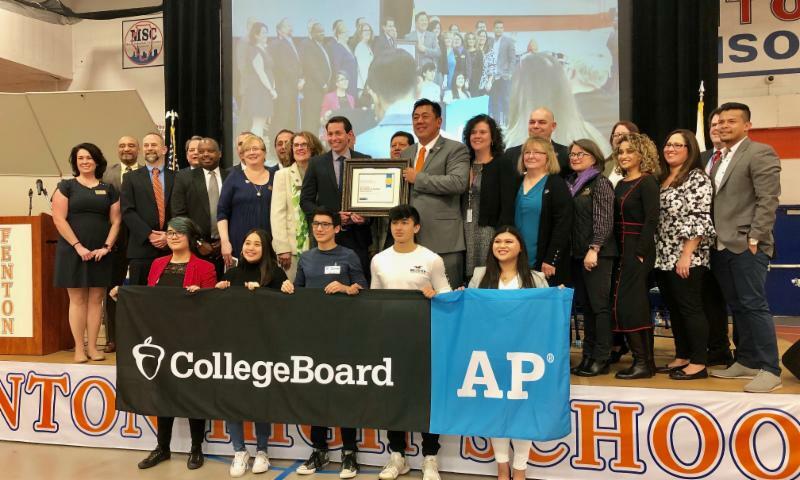 On March 20, Fenton Community High School District 100 was named the Advanced Placement Small District of the Year by AP College Board. 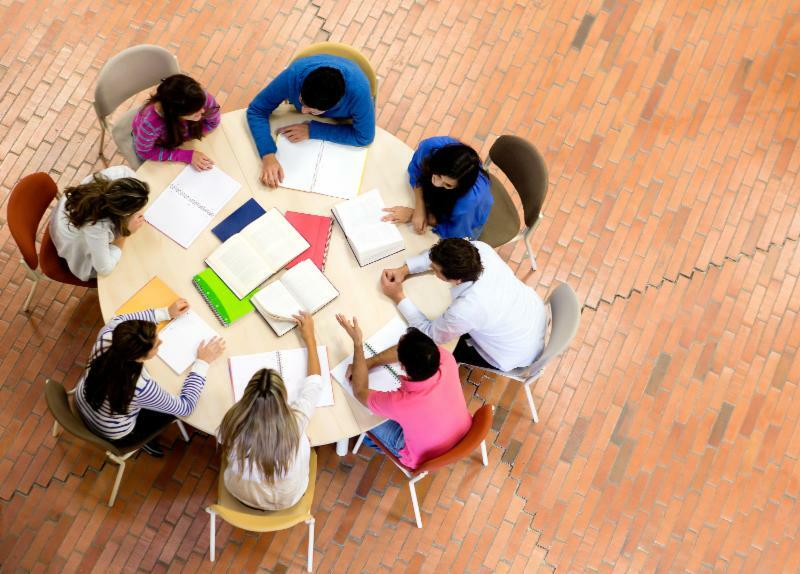 During the past four years, Fenton has worked diligently to built an AP program that encourages all students who demonstrate ability to enroll in AP courses. Today, 500 students are enrolled in 24 AP classes with a 63 percent rate of scoring a three or higher on at least one AP exam. This demonstrates a 14 percent increase since 2016. -Edward Biedermann, executive director for AP Outreach, addressing an all-school assembly on March 20 at Fenton High School. Administrators, AP teachers, District 100 school board members, community leaders and students are pictured above shortly after the award was presented by Mr. Biedermann to Superintendent James Ontengco. Tara McCarthy, adapted physical education teacher from CASE, is one of five finalists for the Adapted Physical Education Teacher of the Year award from the Society of Health and Physical Educators. The award is expected to be announced this week. Tara was recently named the 2019 SHAPE Midwest Adapted PE Teacher of the Year. Need an Administrator's Academy before June 30? The June 30 deadline to complete Administrator Academies is quickly approaching. The DuPage ROE has over 30 workshops available with a wide range of topics for school administrators. A few are highlighted below with links to register. Visit the Administrators' Academy section on the ROE website to see the full list or click here for more information on April offerings. Due to popular demand, a fifth workshop has been scheduled. Click here for details and here to register. The DuPage Regional Office of Education is pleased to announce the new Teacher Evaluator Training (AA # 2001), which replaces the former Growth Through Learning modules. Upon completion of the two-day training, presented by Dr. Catherine Berning and Ms. Jill Bullo, participants will be legally qualified to conduct evaluations of licensed personnel. For details and to register click here. Successfully engaging parents requires skillful teachers who can effectively utilize research-based strategies. Join us to learn and expand your skill set in building family relationships to create a welcoming environment, improve communication with parents of all backgrounds, and include parents in decision-making. Click here for more information. Click here to register. 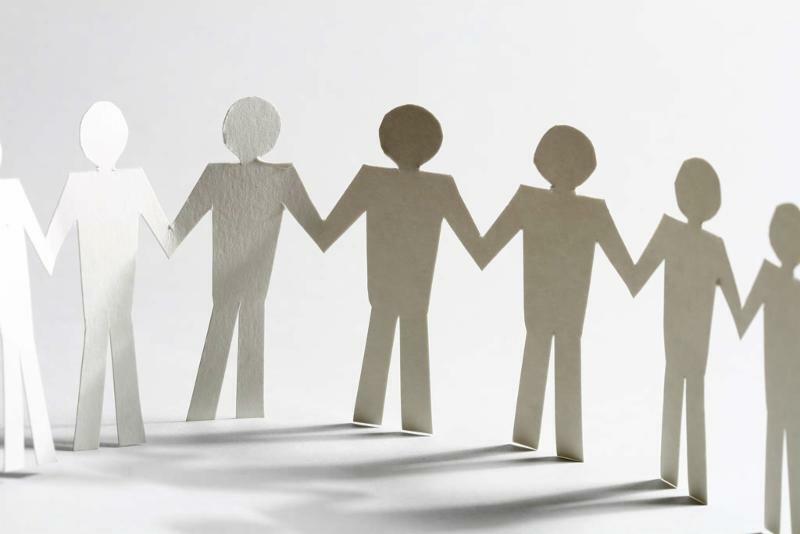 Explore how to apply social emotional learning to support teaching equity; facilitate learning activities for staff and students that result in increased equity; and plan a differentiated approach in teaching equity in your classroom, school or district. Click here to register. The focus for the May meeting will be Strengthening SEL through Student Voice . Cristina Salgado, Student Voice Specialist, Chicago Public Schools will be a presenter. Click here to register. Visit the ROE's SEL webpage for more information on programs . 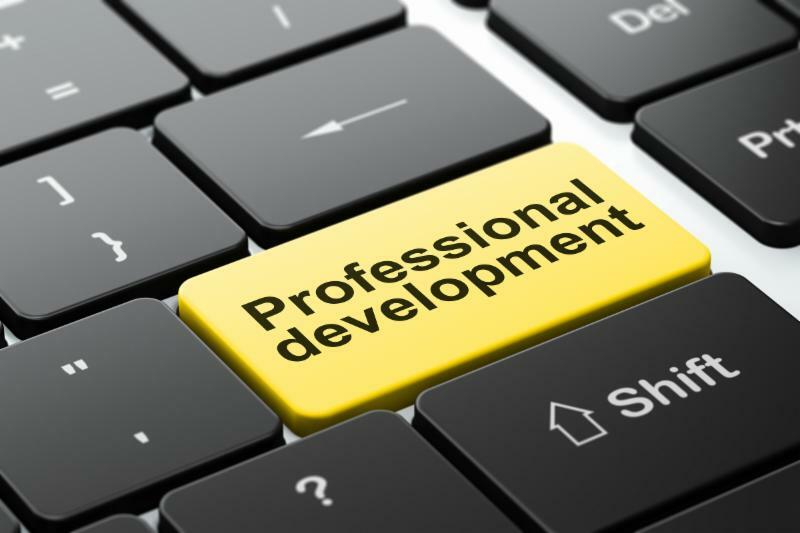 The Administrator Academy (AA) is a process by which local school administrators meet legislated requirements for continuous professional development. Unless noted, all Administrator Academies will take place at the Center for Professional Learning (CPL) located at 505 N. County Farm Road in Wheaton. Please note that ISBE Retraining Academies needed for Teacher/Principal Evaluators are included in the attached listing. TIDE is VERY excited to offer a brand new endorsement program through our partnership with Lewis University. This program is designed for an individual with a LBS1 license as well as an administrator endorsement. 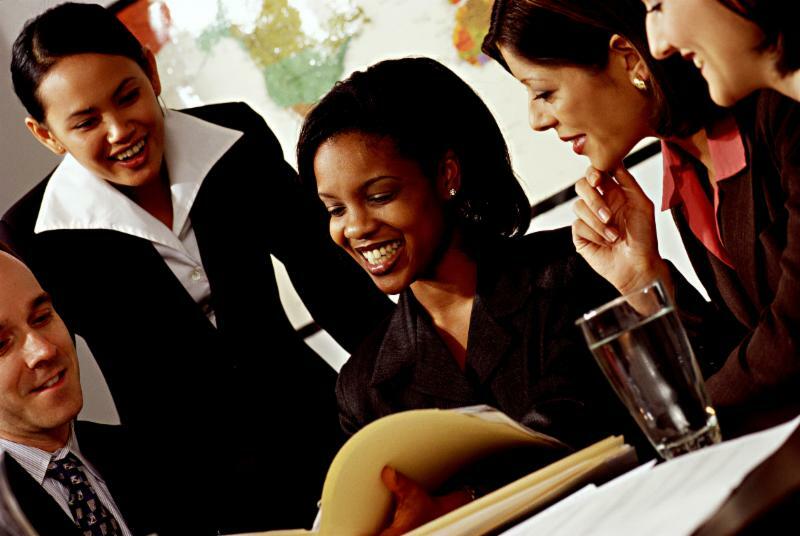 The courses required for the program can be completed within one term. This endorsement cohort is scheduled to begin in the fall of 2019 and will be completed by winter break. Click here for more information. Register so we can be certain we have enough participants to begin this new program. Please email Sarah Johnson for more information. Click on the Network name for more information and to register.